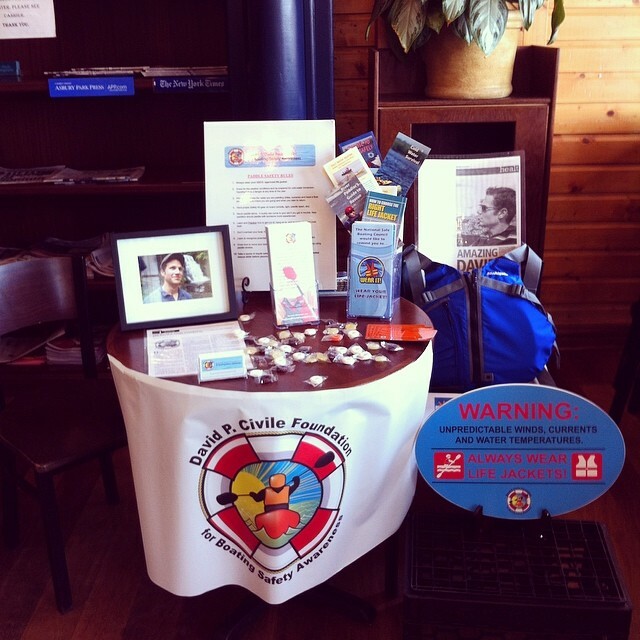 Your support will enable the David P. Civile Foundation for Boating Safety Awareness to achieve our many goals. Please visit our donation page and help us save lives. 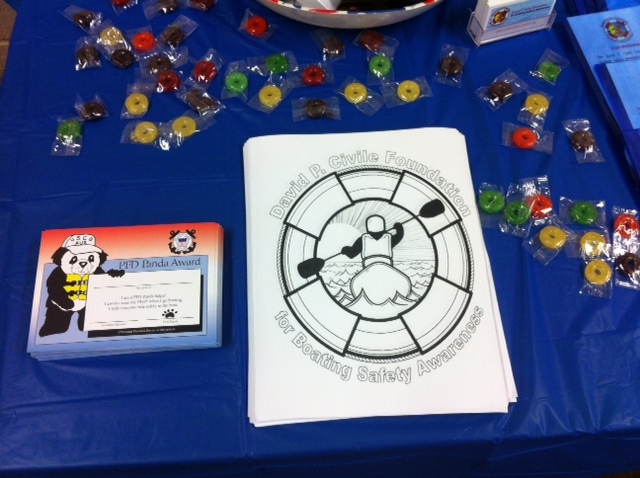 Look forward to another year of opportunities to spread boating/ water safety awareness. Be sure to follow our public Facebook page for upcoming events! Thank you for your continued support and generosity this year! 9/26/15 -Participated in the Clean Ocean Action's "Shore Paddle on the Navesink"
Cheers to another year of saving lives through education and awareness! 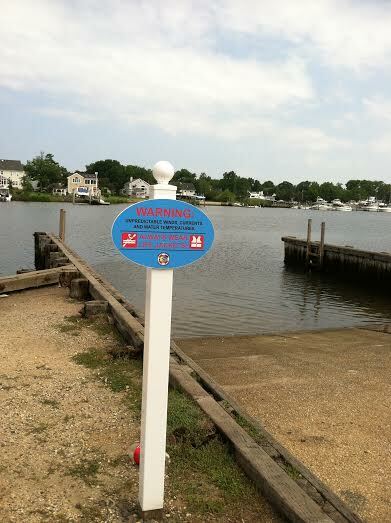 November 2014: Another victory for our Foundation... Red Bank has joined the list of towns to post boating safety signage at various launch sites! 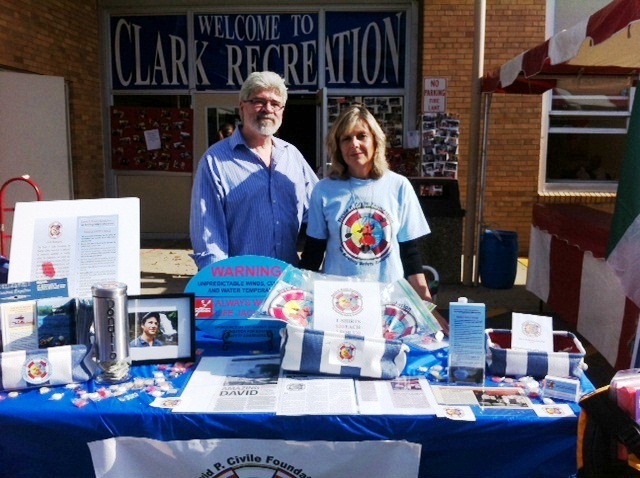 October 2014: On October 4th, we attended Eastern Mountain Sports' annual 'Club Day' event in Eatontown. 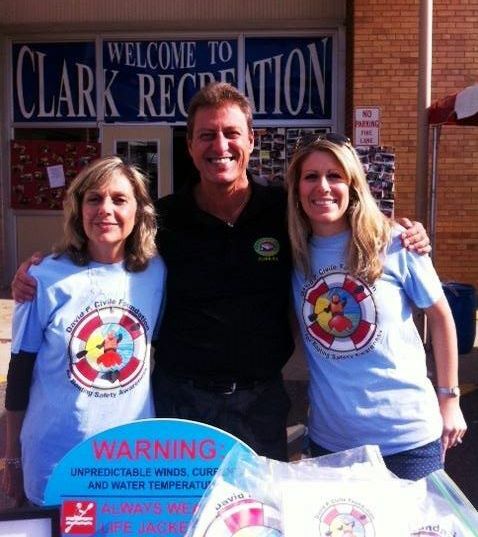 EMS has been a friend of the foundation from the beginning and a great partner in safety-always promoting the importance of life jackets and educating their customers on water safety and weather conditions. Thanks to Kathy Casey for her support over these past 3 years. "Festifall" as well as Red Bank's "Paddle the Navesink Day". We were especially excited to participate in "Paddle the Navesink Day" and share our information with the perfect audience--paddlesport enthusiasts! We are fortunate to meet so many amazing people in support of our mission at these events. Summer 2014: What a successful summer it has been! 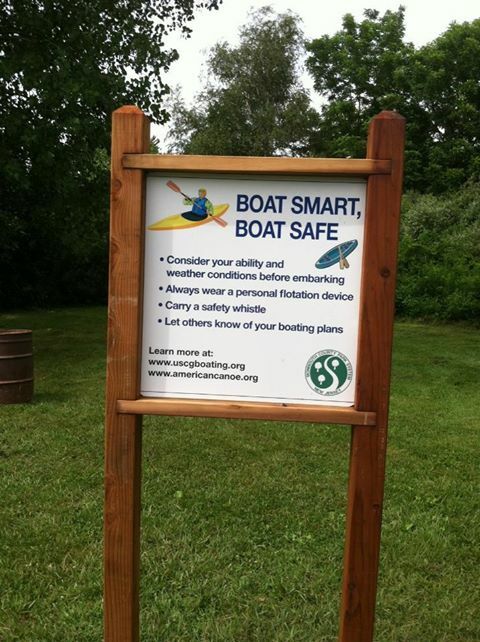 Thanks to the support of our local mayors, our boating safety sign has been posted at various public launch sites throughout Long Branch, Rumson, Point Pleasant and Fair Haven! August 2014: We were pleased to have been invited and attend Ocean County Parks and Recreation National Night Out in Point Pleasant. 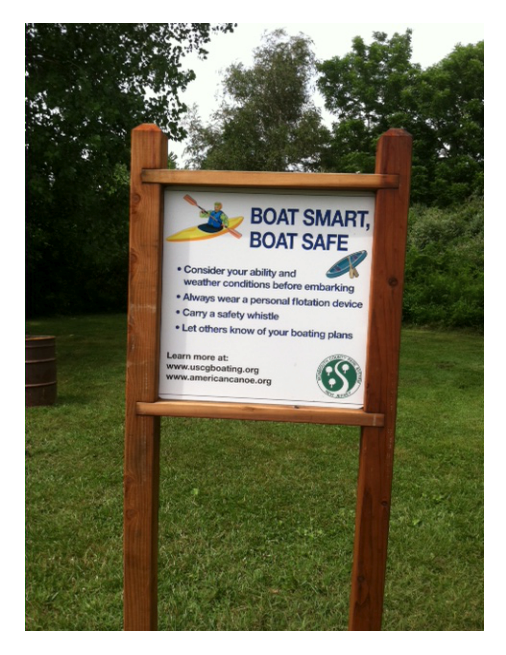 The Ocean County Park System has been very supportive of our mission and has posted boating safety signage at several of their launch sites this summer. The highlight of our month was presenting a boating/water safety program to 100+ kids at Primetime Summer Camp in our hometown of Cranford. 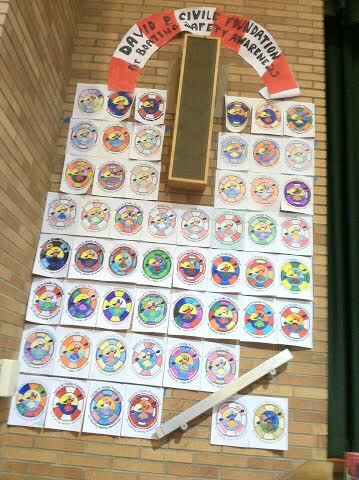 At the end of the day, the kids (grades k-5) pledged to always wear a lifejacket, never go out on the water alone, and to always dress for the water temperatures. The program ended with goodie bags as well as a foundation logo coloring contest, in which the top 3 contenders received gift baskets. 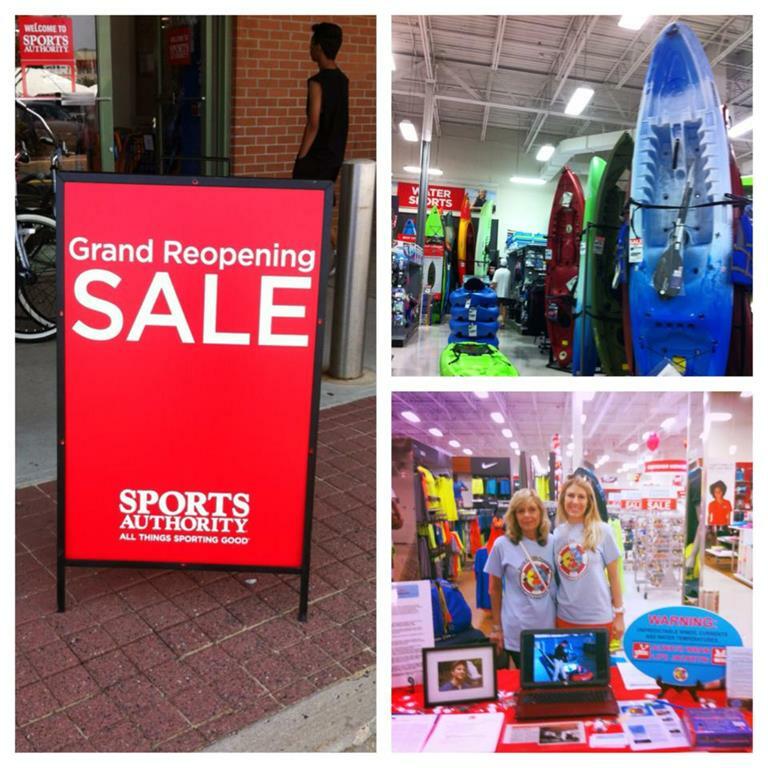 July 2014: We were thrilled to promote boating safety during Sports Authority Eatontown's Grand Reopening. Safety Info was distributed and life-jackets were provided to first time kayak buyers. Thanks to Brian and the amazing staff for their support! tell David's story and discuss our mission of saving lives through awareness and education. our Top 10 Paddle Safety Rules in honor of National Safe Boating Week! Thanks to all who supported! Check out the President's Declaration of National Safe Boating Week under the "Boating Safety Awareness"
Cranford Street Fair and Craft Show! April 2014: Our Foundation was featured in Adventure Kayak Magazine. Check it out! THANK YOU to all who have supported and continue to support our Foundation! Whether you have purchased a T-shirt, key chain, or donated directly through our website, you have directly contributed to our Foundation’s mission of saving lives through education and awareness. 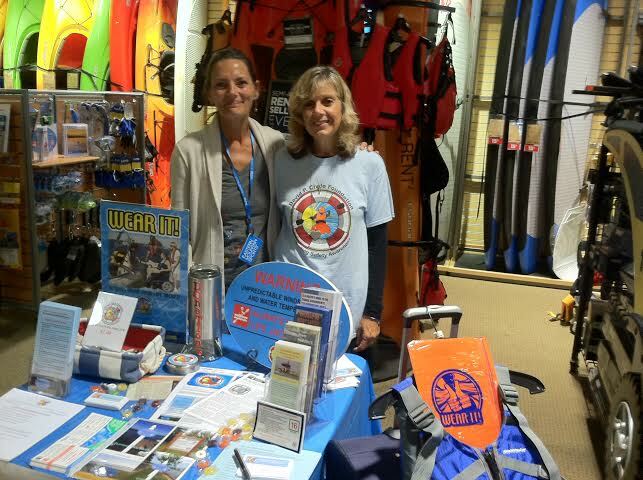 In addition to providing printed boating safety materials to the public via kayak expos, street fairs, or directly to kayak retailers throughout Ocean and Monmouth County, your generous donations enabled us to purchase life vest and paddle safety kits for Eastern Mountain Sports (EMS) and West Marine to give to first time kayak buyers. Each donated life vest and paddle safety kit included our business card, boating safety material, and most importantly a note addressed to the “life vest recipient” from our family. Our latest life vest/safety kit recipient was a young college student, who had purchased his first kayak at EMS in early September and was a novice kayaker, like David had been. EMS educated this young man on the safety rules of paddling, and he responded by promising to always wear his life vest while out on the water. We would like to thank the staff @ EMS in Eatontown for their friendship and partnership with our Foundation and most of all for their passion in promoting safety first, rather than as an after-thought. Thank you again for your continued support of our Foundation’s mission. We would not have been able to achieve any of our goals thus far without your help and are forever grateful. 'A heartfelt THANK YOU to the Cranford High School Class of 2003 for their generous donation to the DCFBSA, raised during their 10 year class reunion in November! We are beyond touched by your kindness in including and honoring Dave in this way! On November 2nd, we participated in the Little Silver Ladies Auxiliary Holiday Bazaar by providing boating safety materials and donating a Life Jacket to the winner of the raffle. 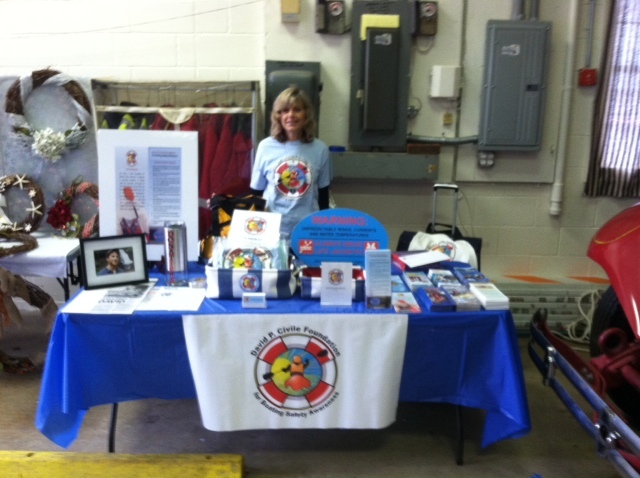 The DPCFBSA respresented once again during Club Day @ Eastern Mountain Sports Eatontown on October 5th! 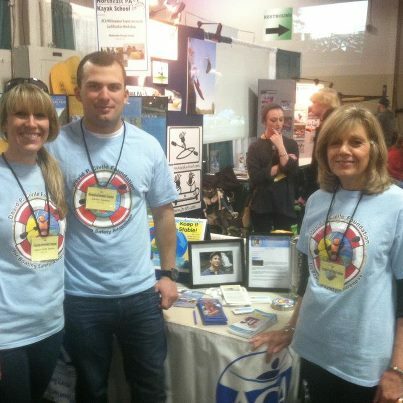 We were in great company promoting outdoor safety and presented the video 'Cold Water Boot Camp'. 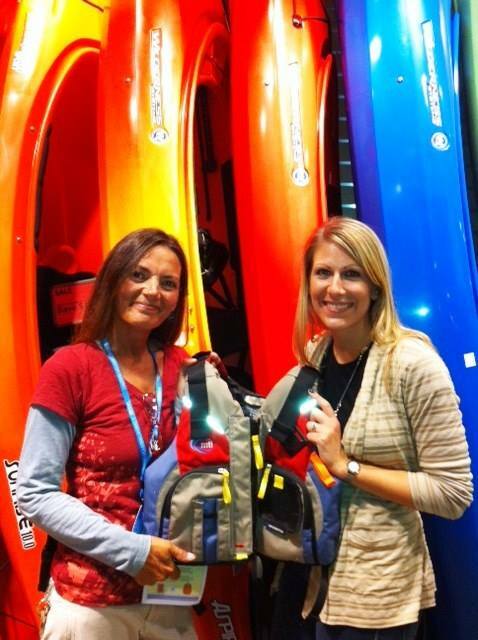 A life jacket was also donated to a first time kayak buyer! 'Thanks again for coming out to support us at the Westfield Street Fair on June 8th. 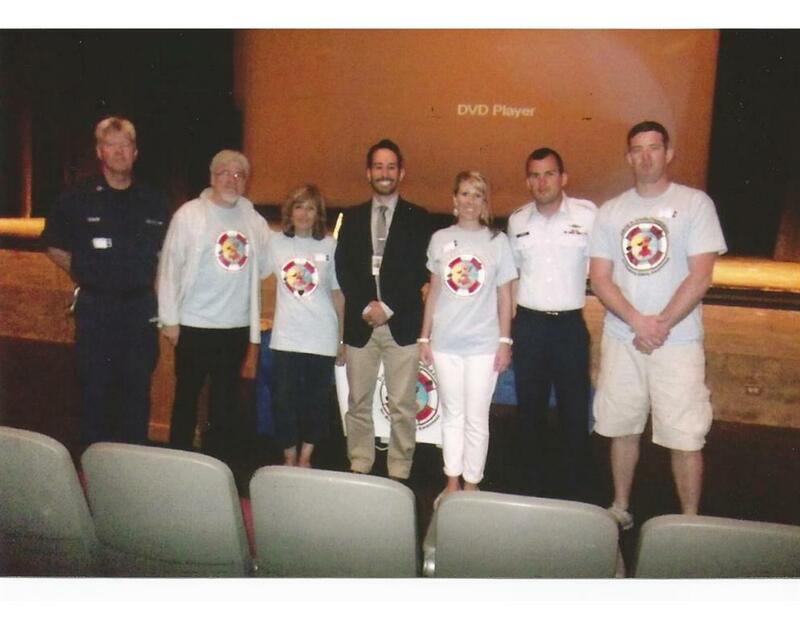 On June 4th, the foundation presented a program on Boating Safety Awareness to approximately 150 High School students at Cranford High School. The group also viewed a Cold Water Boot Camp video explaining the importance of wearing a Life Vest , as well as being aware of water and weather conditions before launching a water craft. Pictured left to right: John Ziegler, Coast Guard Auxiliary, Rich and Joan Civile, Principal Rui Dionisio, Laura Civile Davies, Adrian Taberna, Coast Guard and Jon Davies. 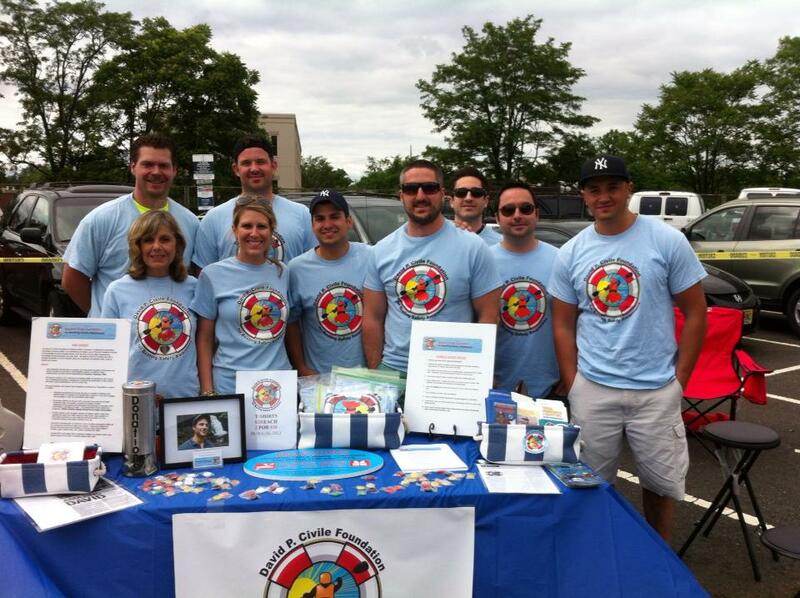 Special thanks to everyone who came out to support us at the Cranford Street Fair on May 5th. Pictured above with Joan are David's friends, Dan Campion, Brady Booth and Anthony Buontempo. Our Foundation was featured in the April Issue of Atlantic Coastal Kayaker Magazine. Check it out! Grateful to the Delaware Valley Division of The American Canoe Association for inviting our Foundation to share their booth and promote boating safety. We met and received support from so many great people and know David's story is making an impact! Special thanks to Adrian Taberna, one of Dave's best friends, who helped deliver our message on safety. Adrian joined the US Coastguard for Search and Rescue months after Dave's accident and has continually promoted boating safety to kayak outfitters near his station in Newport, RI. We are so proud of him. 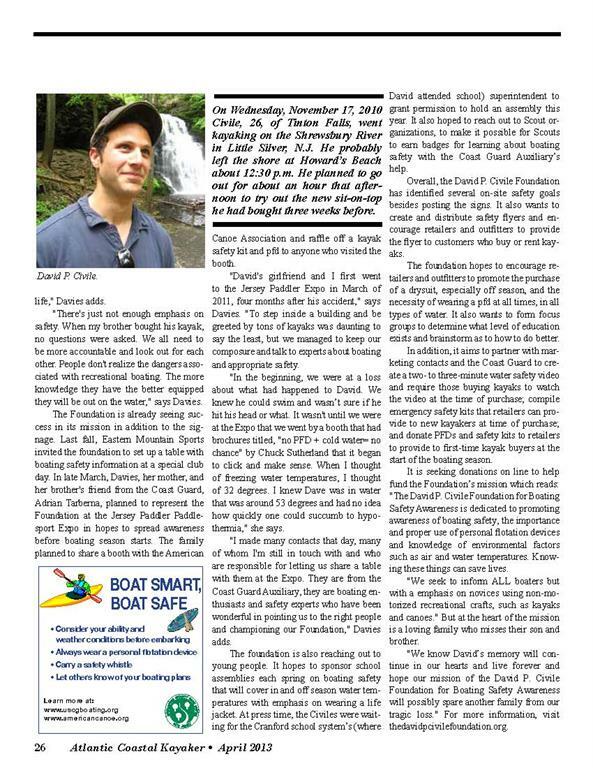 In January (2013), we met with Senator Jennifer Beck and the Director of the Monmouth County Parks System to discuss our Foundation goals and the need to promote boating safety around non-motorized water crafts. 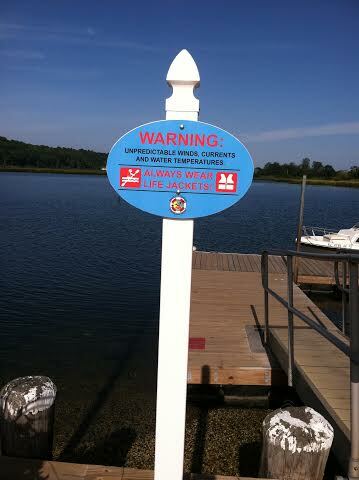 Specifically, we requested that signage advising of proper boating precautions be posted in parks in time for spring boating season. We were recently notified that a sign was created in accord with the Park guidelines and our mission and will be posted in Monmouth County Parks by April 1st. Joan Civile, Kathy Kasey(EMS staff), Laura Davies, Kaylin Flores(EMS staff) and Norberto Perez, Coast Guard Auxiliary. We thank you for your support. On October 6th, Eastern Mountain Sports of Eatontown held a special Club Day and invited The David P. Civile Foundation for Boating Safety Awareness to attend as their Donation partner. Among other clinics, the Club Day included Kayak Safety Checks performed by a member of the Coastguard Auxiliary. Our Foundation set-up a table and distributed several Boating Safety Brochures and Kayak Gear Checklists, and ended the day by raffling off a PFD (life jacket). This was our Foundation's first event and we were extremely honored to be asked. 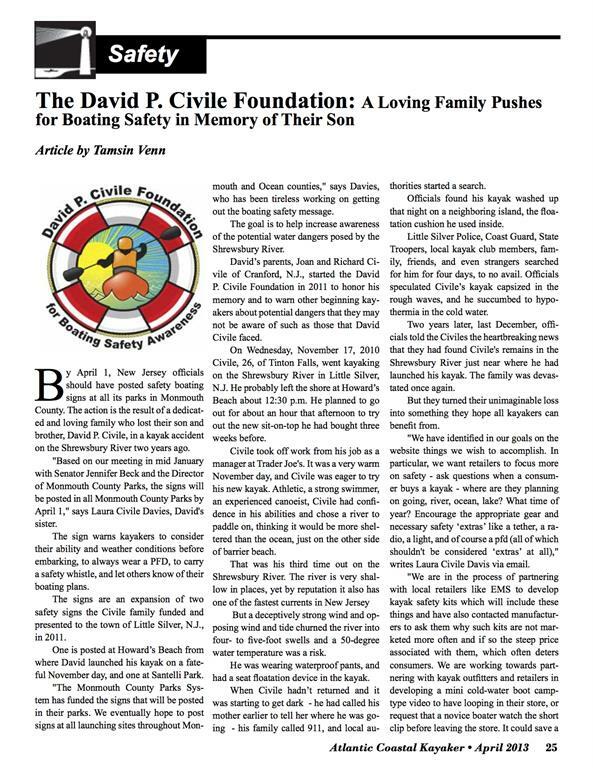 David P Civile Fndn and like our page "The David P Civile Foundation for Boating Safety Awareness"
If your group would like the foundation to present a program on Boating Safety, please contact us!